Little Bonnie Bear Brooch. Where this cute bear anywhere! She is 100% handstitched from beautiful schlute mohair with glass eyes and handmade nose. Brooch pin securely sewn on the back. She is not a toy and is a collectible artist mouse bear for bear loving folk aged 14 and over. 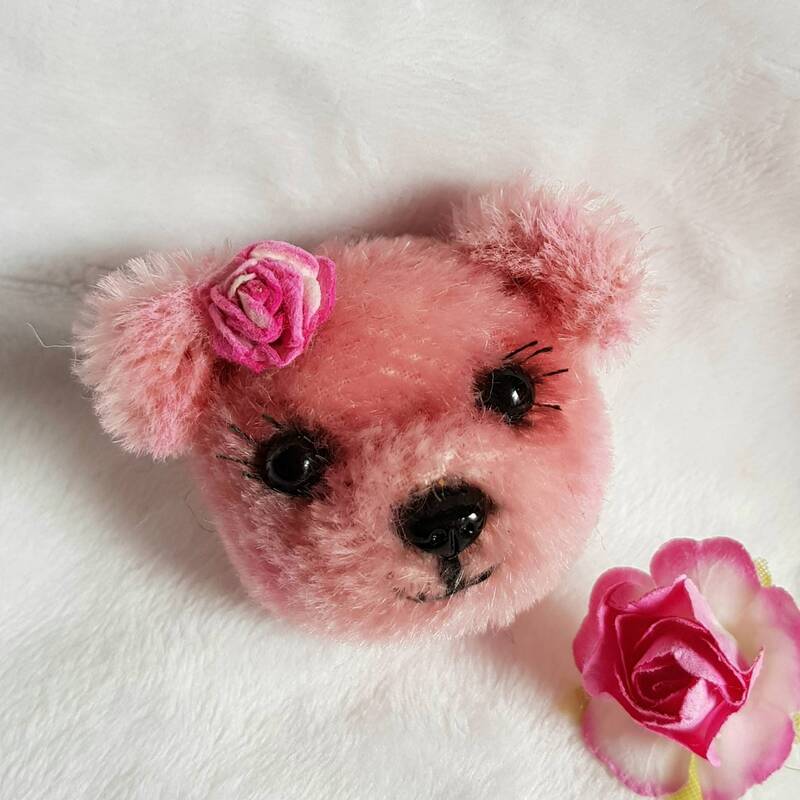 Each one of my Dandelion Bears is created to be a one of kind critter with unique details which make up its own individual character.